The Band. I had their picture put on a button over at CafePress, pretty sweet. I am still in love with these however and when April is up I will be buying a set or 2. 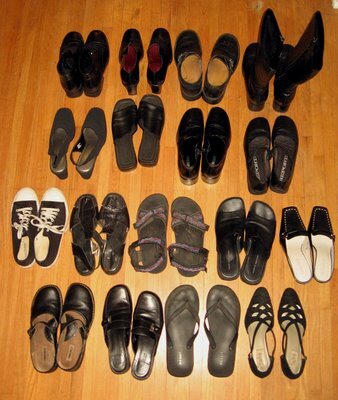 All size 11, a few size 10w, and no honey you can never have too many pairs of black shoes. April 6, 2006 by carol strand.